Will startup fund sponsors in the DPP space begin outsourcing portfolio, fund and tax accounting to their transfer agent? – Great Lakes Fund Solutions, Inc.
Will startup fund sponsors in the DPP space begin outsourcing portfolio, fund and tax accounting to their transfer agent? I came across my first DPP fund–a start-up REIT in this case–that is looking to outsource both accounting and transfer agency services. Is this a trend? I can vouch for the fact that this is standard practice in the hedge fund world. If you don’t outsource your accounting to your fund administrator your fund will go nowhere. 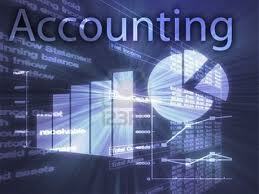 The idea is to protect the investors from the possibility of accounting irregularities. It is investor demand that required the hedge fund’s to hire an administrator. Could the same thing happen in the DPP space?